Savage dedicated his monologue intro on March 6, 2015 to the issue of amnesty, fast tracking millions of illegal aliens, potentially 30-50 million by 2016, who, armed with Social Security cards and driver licenses, will install Democrat party rule in perpetuity, with Republicans whining about their minority status while enjoying full privileges of the ruling elite. Stating that we don’t have another party in power, Savage continues, “We have the most extremist, anti-American administration in history. They must be stopped. There is no precedent in the history of the world to accept 30 million illegal aliens into a nation and to change the demographics forever, unless that nation lost a war and was conquered by a foreign power.” Have we lost a war and, if so, which one? According to Savage, the current administration is flooding the country with illegal aliens, the “New Americans,” at imperative speed; they are presented by progressives as part of the “civil rights movement,” even though they are violating our borders and breaking into our country. The Democrats, seeking a majority, are building up a voter base that does not speak our language and has no desire to do so; in gratitude, they are going to vote Democrat, so long as they are getting a pathway to citizenship and Obama welfare. “They’ll vote Democrat for thousands of years!” Savage exclaimed in frustration. “Who will watch the watchers? The FBI is supposed to watch this. But it is a wholly-owned subsidiary of the administration!” White people are now expected to step out of the way and give the country over to the flooding immigrants who are going to be integrated into mini-countries inside the United States. They will be the protected “New Americans” while the real U.S. citizens will suffer. To facilitate this fundamental transformation, our children will be tracked with behavioral assessment for kids. “If your child is too American, or too hetero, they are going to red flag him,” said Savage. To make matters worse, the Common Core standards of education, now adopted around the country, teach anti-Americanism, proselytize children into Islam, and teach students revisionist history, making them ashamed of who we are, of our achievements around the globe, of our country, of our culture, and of Christianity. Symbols of our nation, our flag, the Pledge of Allegiance, and the National Anthem are often stripped from official locations and public events. Lessons indoctrinating children into Islam and communism are now common around the U.S. Looking at France, trying to save itself from the “scimitar of radical Islam that is threatening to cut their throats,” Savage describes how Marine Le Pen proposes to do so. 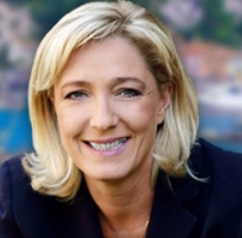 Smeared as a far-right politician, Marine is a “nationalist who loves France.” Savage said that “she is hated by the Socialist scum who have ruined France and exposed them to the Islamic sword.” The “slimy political class considers her xenophobic because they pander to third-worlders whom they flooded into their country,” but she wants to return the power to the French people. Le Pen views the French government’s plan to control homegrown jihadis as nonsense. Her solution is a zero tolerance on Shariah Law, no Muslim holidays, enforcement of French-speaking in mosques, no Arabic in mosques, and stripping dual citizenship jihadis of their French citizenship. “She is hated by President Francois Hollande. She has laid out her vision for France. Why don’t we have a Marine Le Pen? Why don’t we have a true conservative party in this country,” asks Savage. But then he readily admits that a third party would be a catastrophe at this point in our country. She continues, “Everything must be reviewed, from the intelligence services to the police force, from the prison system to the surveillance of jihadist networks.” She identifies three mistakes made by those in power. 1. 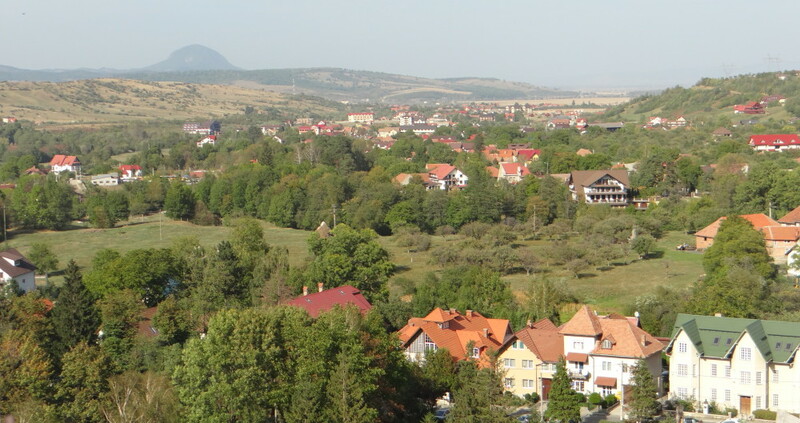 The free movement of people and goods across the European Union borders must be revisited as it encourages the free flow of tons of weapons from the Balkans and jihadis move unhindered across many nations. 2. The massive wave of immigration does not include an assimilation policy. The desire to assimilate on the part of the immigrants does not exist. Culture is a major influence “on the way immigrants relate to French society and its values, on issues such as the status of women and the separation of state and religious authority.” She infers that immigrant cultures are at odds with French secularism, the “laïcité.” High unemployment is exacerbated by this massive immigration. 3. French foreign policy is in a “geopolitical incoherence,” supporting Syrian fundamentalists and alliances with Qatar and Saudi Arabia, supporters of jihadi fighters. Le Pen suggests stripping jihadists of their French citizenship, reinstating national border checks, and zero tolerance for any behavior that undermines French Law. Le Pen stresses that safety, liberty, sovereignty, French values, and independence are most important if France is to be saved from Islamist Fundamentalism. This entry was posted in Immigration, Uncategorized and tagged borders, culture, Democrats, Dr. Michael Savage, foreign policy, France, Front National, illegal immigration, Marine Le Pen, massive immigration, nationalism, New Americans, religion, sovereignty by Admin. Bookmark the permalink.